I love it when things are this easy. 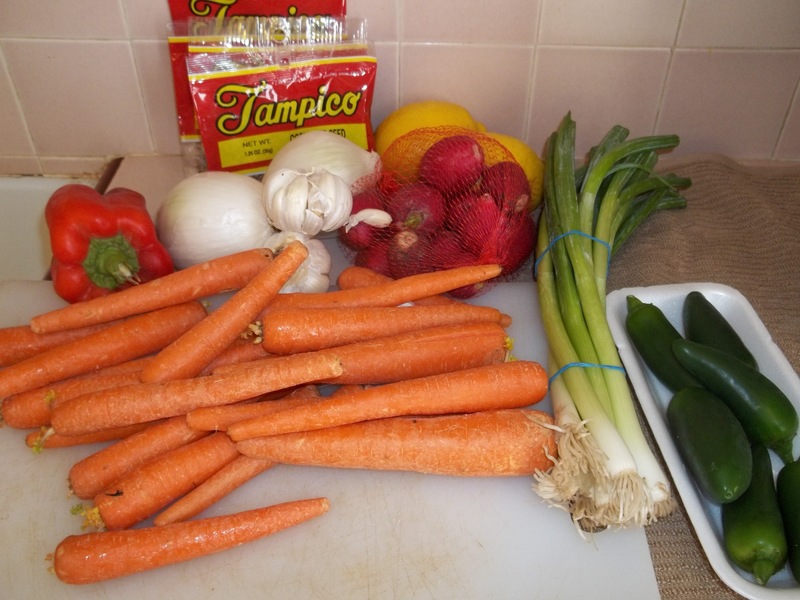 5 cups of vinegar, one cup of water, a half-cup of sugar, a variety of spices and a pile of lovely-looking vegetables. I have carrots, jalapenos, garlic, onion, radishes, chives, bell pepper and lemon. Slice them and arrange them as artistically as possible in a variety of jars (I used a variety of sizes also). Sprinkle kosher salt over the vegetables. 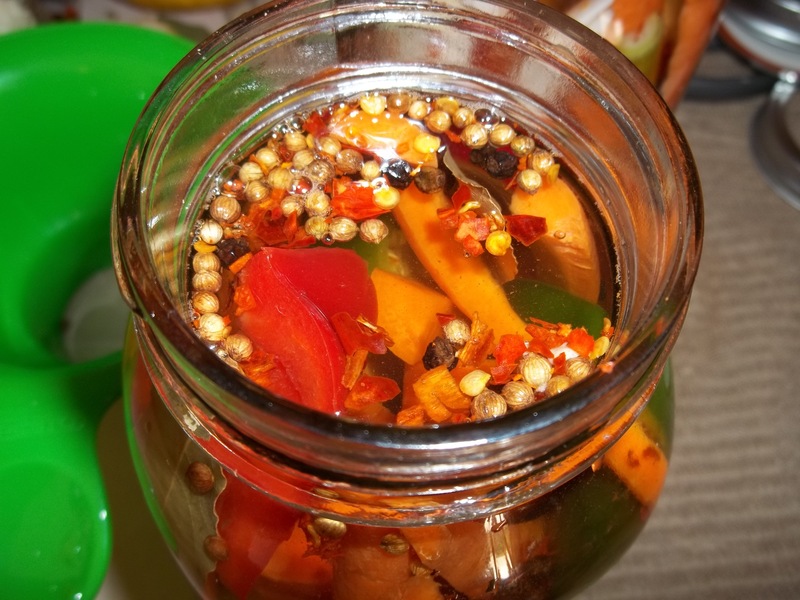 I added whole black peppercorns, dried red pepper, whole coriander, and a bay leaf (the larger jars got 2 leaves). 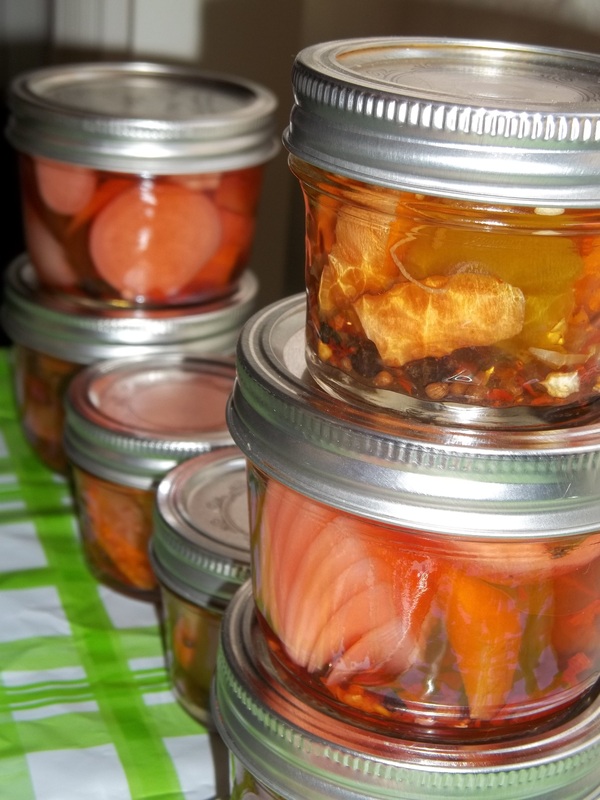 Then I filled the jars with the brine and sealed the jars. Eventually the radishes make the whole mixture turn a reddish tint, but they make decorative and delicious gifts. I gave them to the guests at my 4th of July party and brought a large jar to a housewarming. 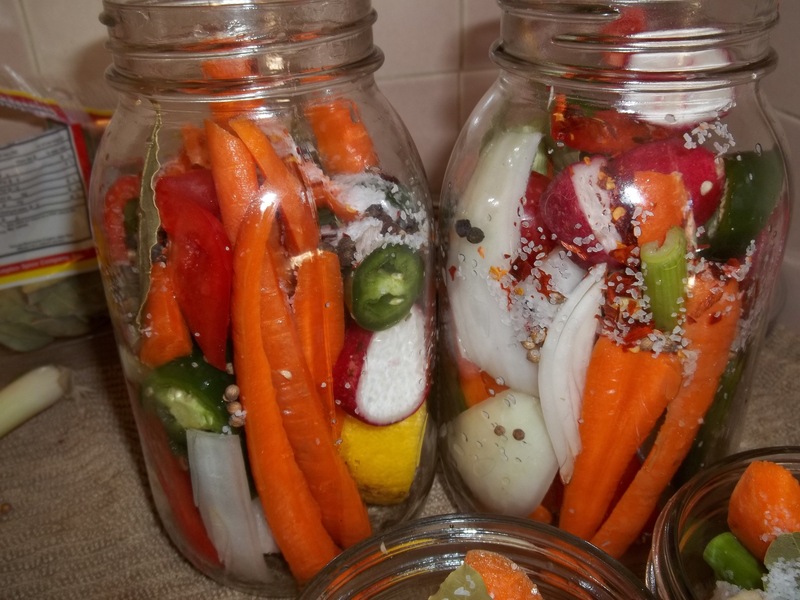 This entry was posted in cooking, food, Uncategorized and tagged brine, homemade pickles, mexican spicy carrots, pickles, spicy carrots, spicy pickled vegetables, spicy pickles. Bookmark the permalink. ← Apple Cider Jelly — the easiest recipe in the world. With a catch. 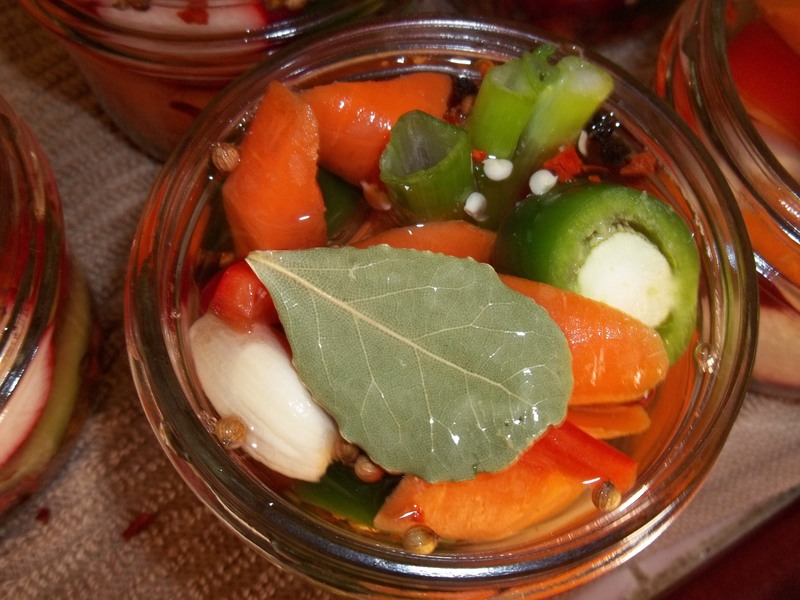 Your spicy pickled carrots sound great. They would be a nice garnish in a bloody mary.